If you’ve been looking for the right vehicle for you to experience the drive you need on the roads in your area, a sedan offers you a balance of everything you need. Sedans have been around for a long time and make it easy for you to have the quality driving experience you’re looking for. Come in and see the team at Massey Yardley Chrysler Dodge Jeep Ram Fiat in Plantation, FL and choose the sedan that comes at the price you want with the qualities that make sense for you to drive on the roads in Davie, FL. 2015 Chevrolet Malibu LTZ – This is a midsize sedan with the qualities you’re looking for and the ride that makes a lot of sense for you. Take this model out for a test drive from this Fiat dealer and see if it’s the right sedan for you to drive every day. You’ll love the comfort and the upgraded items that make this the right choice for you on the roads in Davie, FL. 2017 Subaru WRX AWD – If you want an active and enjoyable car that can give you the fun you’ve been looking for, this used model can be perfect for you. See the team at this Fiat dealership and let them take you for a test drive in this sedan so that you can experience what it has to offer you for the drive you’ll want to make on the roads in Davie, FL. 2006 Chrysler 300 – This Fiat dealer has the smooth and impressive sedan for you to enjoy the ride in Davie, FL. It can be this Chrysler 300 that has the comfort features you want, the driving characteristics you desire, and the power under the hood to get the job done wherever you need to go. Come in and take a test drive in this gorgeous car today. 2008 Cadillac DTS – Here is a car that’s affordable, filled with luxury items, and brings you the feeling you want for a Cadillac that can be great for you to drive. Visit this Fiat dealer today and let this luxury sedan become the one that will allow you to have the driving features you’re looking for when you head out for a drive in Davie, FL. 2016 Ford Fusion SE – Make this used Ford car the right choice for you when you see the team at this Fiat dealership. This is a sedan that has the ability to be your daily ride and give you everything you’re looking for so that you can head out on the roads in Davie, FL and enjoy the drive on a daily basis. 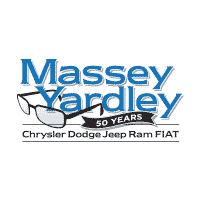 Come in and let Massey Yardley Chrysler Dodge Jeep Ram Fiat in Plantation, FL help you choose the right sedan for you today.